Below I touch on a little background on the American Single Malts tasted and hit the highlights on the nose, taste, and finish from the PPWC group discussion/notes. The descriptions are a synthesis of the group comments. Background: aged 14 months in 5-gallon barrels before marrying in larger tuns, non-chilled filtered, natural color. Background: aged at least 2 years in #2 char barrels 25 to 53-gallon barrels, porter-style 100% malted barley distilled using direct-fire copper pot still. Background: aged 3 years in 53-gallon barrels, distilled using Vendome 4-plate pot/column still, uses Colorado grown barely – 99% malted barley and 1% rye. Background: aged 2 years in 53-gallon barrels; barley 21% pale malt aged in new Garryana oak, 26% peated malt aged in new Alba oak, 10% pale malt aged in used Alba oak, 43% five malt aged in new Alba oak, utilizes Belgian brewer’s yeast (more fruity profile). Background: aged 3 years in air dried Oregon oak barrels (some note they may use multiple sizes); distilled using a small German Holstein eau-de-vie copper still with peated Scottish barley, non-chill filtered. Background: aged 2 years in #4 char 53-gallon barrels, uses Colorado grown peat-smoked barley. Background: aged 2 years in ex-Oloroso and ex-Pedro Ximenez hogsheads and butts, and new American Oak; five different barleys used – Washington Select pale malt, Munich malt, Extra Special malt, pale chocolate malt, brown malt; non-chilled filtered, natural color; utilizes Belgian brewer’s yeast (more fruity profile). Background: aged in American oak for less than 4 years – finished in sherry casks; distilled using a 250-gallon pot still. Background: NAS – finished in Port cask; two row pale malt barley. As I have mentioned in previous articles, the PPWC uses a 100-point scale just slightly different than the breakout used on ModernThirst. Out of 198 whiskies tasted as of this month we have given only three “A+” ratings and twelve “A” ratings overall. Of all the whiskies rated 50 of 198 have received an “A-“ or higher – or right at 25% of what we have tasted as a group. For this installment on ModernThirst I’m going to include our letter grade designations for the whiskies tasted and a rounded to the half-point numerical average for the group. But first, I need to provide our scale – which was developed as we got further into our process, as we saw how the whiskies were sorting themselves out on the numerical scale. A quick post-whiskey club tasting update: After the initial nine whiskey tasting, the next month I hosted a cookout that had several club members present (including some of those not in the original group). I made blind samples of the top 4 whiskies from the previous month and asked the members to simply order the whiskies #1 to #4 during the evening. The lineup included only Balcones, McCarthy’s, Westland Sherry and Spirit Hound. No points were assigned but the rankings for the evening were based upon the average #1 to #4 placement. The results for the most part mimicked the previous month with Spirit Hound coming in at #4 and Westland Sherry at #3. 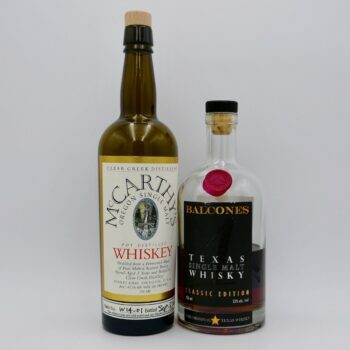 The top two, however, flipped positions with McCarthy’s slightly edging out Balcones for the evening. Additionally, since the original tasting, five of the nine listed whiskies have come up in blind tastings. 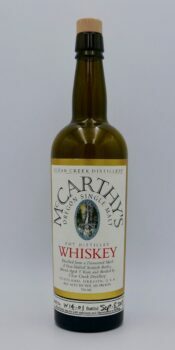 McCarthy’s scored blind had its average remain within ½ point of the original tasting – solidifying itself as a high B whiskey. Westland Garryana after the blind averaged slightly lower (1-point decrease) putting it at the B/B- borderline rating overall. A.D. Laws did not fare as well in the blind tasting – pushing its average down into the solid C range. Hillrock made it through the blinds almost exactly the same with a slight boost putting it on the C/C+ borderline. Finally, Cedar Ridge, after having time to get some air, made the biggest jump from the original tasting, boosting its average from the D to the C range overall – a full letter grade jump. It is always nice to be able to balance the scores of the whiskies tasted, both known and blind, to eliminate any preconceived perceptions one may have had about the dram they were tasting. After the known tasting, the cookout top 4 follow-up, and the blind tastings of 5 of the 9 whiskies I feel pretty good about where the nine whiskies sorted themselves out – the groupings it appears, from our palates, would tend to fall into the same relative placement should we revisit them again. Now that sounds like an interesting future possibility . 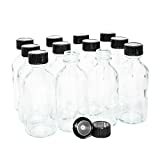 . . but, alas, some of the bottles are already finished. Thanks for reading this the longest single entry I’ve written for ModernThirst. I hope you enjoyed learning a little about some American Single Malts – and maybe peeked your interest in giving one a try yourself. 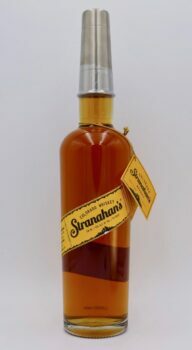 I’d definitely recommend giving any of the top four above a try if you get the chance or our group’s top American Single Malt – Stranahan’s Colorado Whiskey. 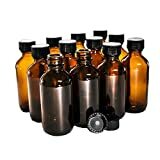 If you like the descriptions of our whiskey club method and would like to know more specifics about how the club operates send me an e-mail (wes@modernthirst.com). Or if you’d like to see future write-ups on topics such as the club’s top-ten overall whiskies or our monthly winners make a comment on this write-up or send me an individual e-mail. Thanks all – we appreciate you reading ModernThirst and enjoying the amazing world of whiskey with us.